Light Duty Shakers are designed for applications with loads under 3.6 kg. Choose from two orbits and speed ranges to optimize your sample mix. 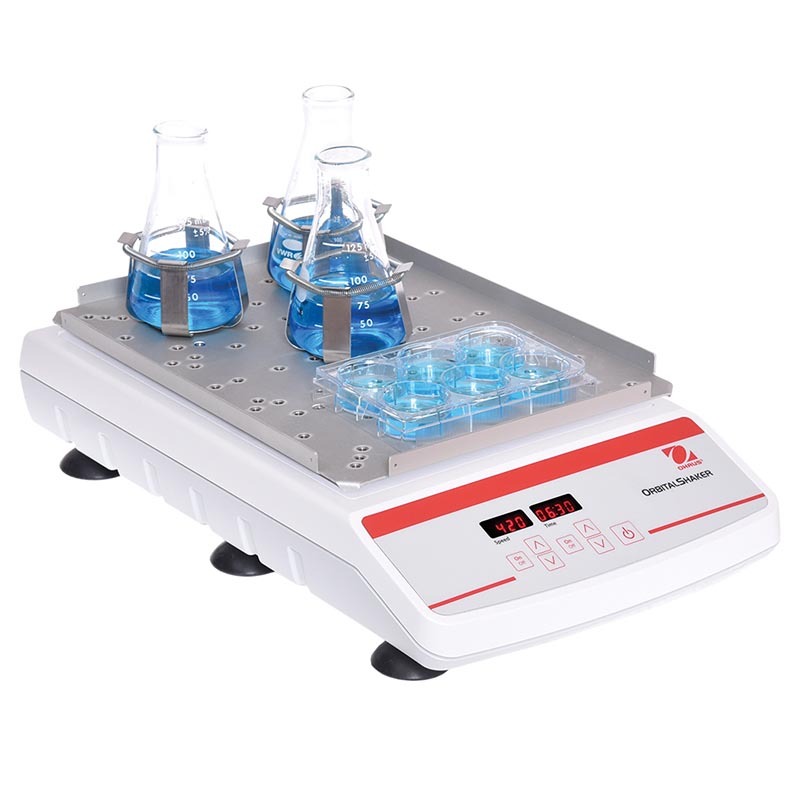 Microprocessor-controlled and two digital models (3 mm or 15 mm orbit) which include a non-slip mat that can be removed to mount flask clamps and tube racks directly onto the tray. Operating Conditions: Units can be run in cold rooms, incubators, and CO2 environments. SHLD0403DG: –10 to 60°C SHLD0415DG: –10 to 40°C Maximum 80% relative humidity, non-condensing. Units include a detachable, 3-wire cord and plug. Units are also supplied with an 29.9 × 22.2 cm non-skid rubber mat.